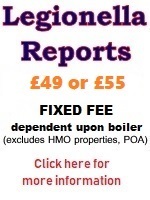 This short Briefing is provided and produced by ?The Legionella Specialist? which is a Legionella Risk Assessment company. It lays out the requirements on private landlords with reference to the avoidance of Legionnaires? Disease (caused by the Legionella bacteria). A number of consultants and letting agents appear to have mistaken guidance from the Health and Safety Executive (HSE) for new legislation requiring landlords of private rented property to seek Legionella testing certificates. Testing for Legionella should not be confused with temperature monitoring which is a reliable method for confirming the water system is under control. Nor should it be confused with a Legionella Risk Assessment Report. 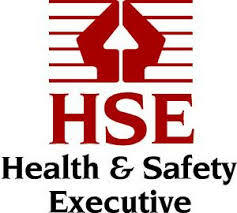 Health & Safety Law does NOT recognise or require Landlords to obtain and produce a ?Legionella Test Certificate?. Testing or sampling (sometimes referred to as microbiological monitoring) is not usually required for domestic hot and cold water systems unless a Risk Assessors Report highlights the property?s assessment rating at a level that poses a serious risk to health. Landlords have a duty to ensure that their properties are free from health and safety hazards. This includes, inter alia, carrying out a risk assessment to assess for conditions that can encourage the spread of Legionella and subsequently mitigating or controlling such conditions. Provided an adequate knowledge of the property?s water system and what to look for and sample in terms of the Legionella bacteria, there is no reason why a landlord cannot conduct this assessment themselves. Specific guidance on Legionella and the legal responsibilities of landlords can be found on the Health and Safety Executive website: legionella and landlords? responsibilities. The Statutory Dutyholder, being the person in control of the premises to be assessed has the sole responsibility for compliance with relevant Health & Safety Regulations (including avoidance of, or reducing any relevant risk as may be present to exposure to Legionella bacteria). ?The Legionella Specialist? 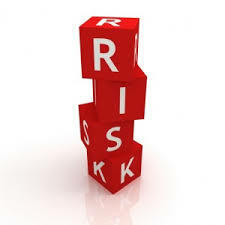 is a Risk Assessment Service Provider Company having been trained and accredited by Elmhurst Energy Systems Ltd. Assessors Accreditation Certificate No. EES/002756. Our instructions can be obtained directly from the Landlord/Dutyholder or from any of the Dutyholders? Appointed Representatives. 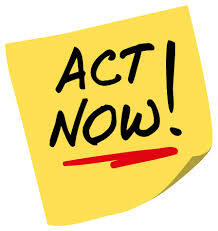 Our initial Risk Assessment Report is specific and our charge is for a single visit. Ongoing actions of any recommendations and follow-up re-visits by ourselves remain the responsibility of the Dutyholder to organise, or any of their appointed representatives. Landlords/Dutyholerss and any of the Dutyholders? Appointed Representatives would benefit from our Professional Indemnity and Public Liability Insurance cover to ensure our Reports are fully protected and compliant against any legal action relating to Legionella control. This is currently set and covered by our Accreditation company at ?5 million per claim. 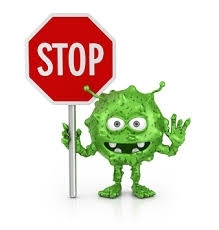 Landlords of residential accommodation have a responsibility to take measures to ensure that their properties are free from health and safety hazards, (27) this includes taking measures to combat Legionnaires? Disease. Detailed information on the approved code of practice and guidance from the HSE can be found at the following link: Legionnaires' disease. The control of legionella bacteria in water systems. In November 2013, 284 confirmed cases of Legionnaire?s Disease were reported in the UK. A staggering 11% of these cases resulted in death. Landlords are under a legal duty of care to ensure that the risk of exposure to Legionella for tenants, residents and visitors to their properties is adequately assessed and controlled.